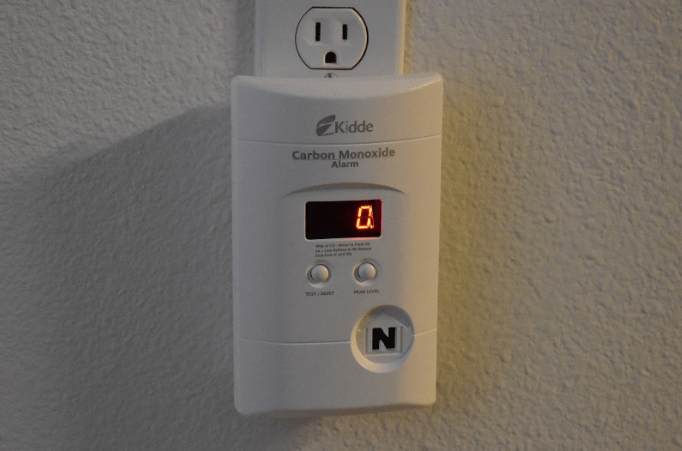 What is carbon monoxide, and why is it dangerous? Carbon Monoxide (CO) is an odorless, colorless gas that is flammable and toxic. It is known as a “silent killer” because elevated levels of the gas can quickly harm people and animals without them even being aware of a problem. As you breathe it in, CO harms your blood’s ability to carry oxygen, thus keeping your body from receiving the oxygen that it needs. In serious instances, this can result in coma and even death. Carbon monoxide detectors and alarms are essential for safety in homes. There are many options available, but in general, they will detect levels of CO and sound an alarm when they are at dangerous levels. They cannot protect your family if they are not working, so it is critical to test them often and replace the batteries regularly. Experts recommend replacing the batteries every 6 months. It is also important to know how long your CO alarm is good for. Some are only good for 5 years, and others for longer. Make sure to keep track of when your CO alarm needs to be replaced. Fireplaces and chimneys can be major problem areas when it comes to carbon monoxide. They should be inspected and cleaned regularly to avoid complications. Check for any obstructions that may occur. This could include debris, bird nests, trash, and excessive soot buildup. Also check to make sure that the flue damper opens, closes, and seals properly. An inspection and cleaning performed by a trained technician is beneficial. Gas fireplaces, hot water heaters, and your HVAC system must be installed according to the manufacturer’s specifications and according to local code. This is the first, and most important step, in assuring your appliance will operate safely and as intended. We recommend hiring a trained professional to install any fuel burning appliances. It is recommended that you get your HVAC system and gas or oil burning appliances serviced and inspected annually. Trained technicians can make sure things are running properly and help decrease the risk of carbon monoxide poisoning. A 26-point precision tune-up from Snowflake Air, which includes a CO test, is a great gift to give to your family to keep them safe and warm this holiday season. We are your Treasure Valley heating and cooling experts.